Experience the unspoiled beauty and traditional culture of this legendary Greek island, as it was in the late 1950s There are hundreds of Greek islands. Why did Mykonos become, in just a few decades, one of the world’s top vacation spots? Part of the answer can be found in these remarkable images, which show the natural beauty and traditional island culture that initially attracted artists, writers, and celebrities like Jackie Kennedy. These photographs, taken in 1955 and 1957–many for National Geographic–re-create a daylong visit to Mykonos in the days before cars, running water, and electricity. We disembark in the Old Harbor and wander the picturesque streets of Chora (the main town), watching the townspeople at their daily tasks. We visit St. Panteleimon Monastery on a festival day, and take a ca que (a traditional wooden boat) to see the ruins on the neighboring island of Delos. Every photograph is reproduced as a full-page tritone of surpassing quality, and accompanied by a detailed caption. 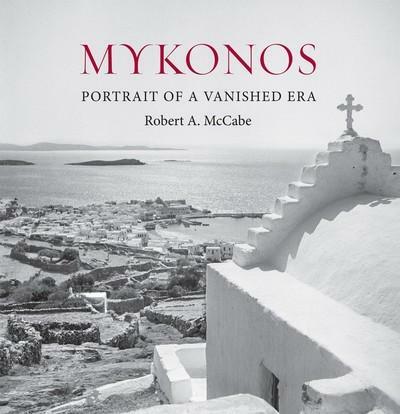 This book will fascinate modern-day visitors to Mykonos, as well as those who trace their roots to the Greek islands.